Marlin & Associates is one of the most active investment banking and strategic advisory firms providing counsel to worldwide buyers and sellers of middle-market technology firms. 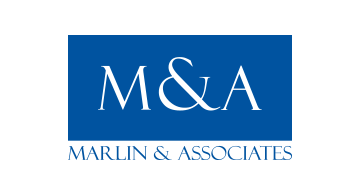 Headquartered in New York City, with offices in Washington, D.C. and Toronto, Marlin & Associates has won numerous awards including the “Middle-Market Investment Bank of the Year,” “Middle-Market Financing Agent of the Year – Equity,” and “TMT Advisory Bank of the Year.” More than 20 transactions on which Marlin & Associates has advised have been recognized as “Deal-of-the-Year”. The Marlin & Associates team of professionals has advised on more than 200 information-technology transactions in 26 countries. Our founder has twice been named by Institutional Investor as one of the 50 most influential people in financial technology. Every Founder, CEO and Board of Directors has a vision. Our job is to help them realize that vision, achieve their objectives and build enduring value in the process. Marlin & Associates Securities LLC, a wholly-owned subsidiary of Marlin & Associates Holding LLC, is a broker-dealer registered with the Securities and Exchange Commission and is a FINRA/SIPC member firm (www.finra.org).Investment banking and/or securities are offered through Marlin & Associates Securities LLC.